The benefits of high-definition video for business communications go far beyond the travel savings and scheduled-meeting dynamic of yesterday’s video conferencing solutions. Today, visual collaboration is used to connect teams at any time from any location for productive working sessions. While the technology used to be costly, software-based visual collaboration solutions can now be implemented at audio conferencing price ranges. 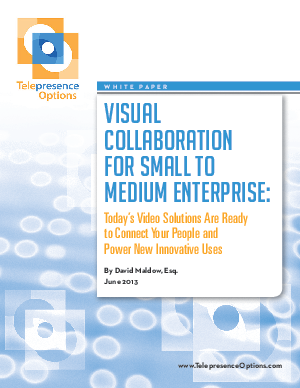 This report explains how organizations are revolutionizing their workflow and communications with the use of flexible, software-based video conferencing.